noun 1. the speed of something in a given direction. noun 1. a low area of land between hills or mountains, typically with a river or stream flowing through it. You may have heard tall tales of the infamous Agroventures park in Rotorua, NZ – it was the stuff that modern day adventurers dreamed of. When it first opened in 1998, Agroventures launched the world’s first commercial custom-designed jet sprint course where participants go from zero to 100 km/hr in 4.5 seconds. Fast forward 20 years and Rotorua’s original adventure park is still going strong, but with fresh new branding to live up to its new name. 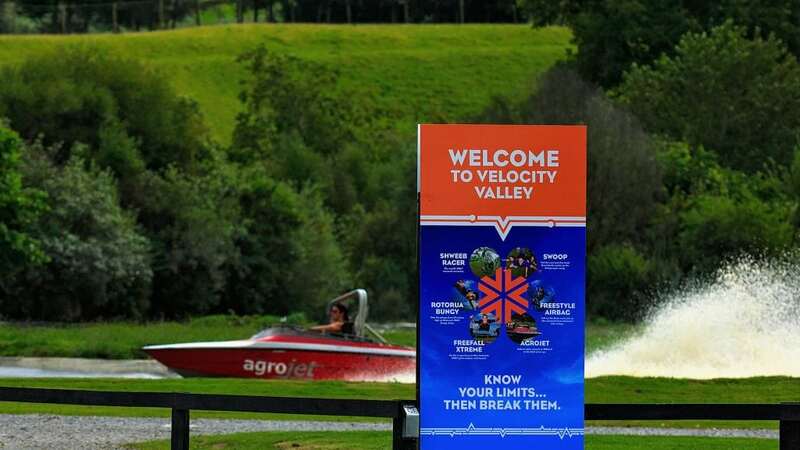 Agroventures is now known as Velocity Valley – New Zealand’s best adventure theme park offering a mix of rides and experiences designed to push your limits, defy gravity and quench your need for speed. The Velocity team loves the new name. It’s aspirational and sums up nicely what the adventures here are all about. But the company vision remains the same – embracing speed and rapid movement, and getting people to discover the thrill of stepping outside their comfort zones! Not all adventure parks are created equal. Velocity Valley sets itself apart as one of New Zealand’s leading adventure hubs. Each year, more than 30,000 visitors from around the world head to Velocity Valley to do something a little bit out there – something to get your pulse racing and make you feel alive. Located in the picturesque hills of Paradise Valley in Rotorua, Velocity Valley is a one-stop-shop for 100% pure kiwi adventure. This is a place where you are guaranteed memories that will last a lifetime in one easy, accessible location. 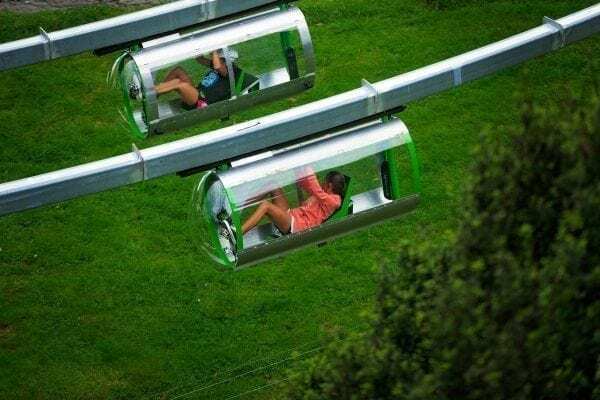 With six awesome rides to experience – all of which are incredibly ingenious kiwi inventions specifically designed for adventure and thrill seekers – there is definitely something for everyone here! Each ride now has a pulse reading so you can clearly define the adrenaline level of each experience. Visitors can choose from cruise to insane, or try them all, with cost-saving multi-ride packages available so you can make the most of your time at Velocity Valley. No prior experience is needed! Compared to other adventures parks in New Zealand, visitors get awesome value for money at Velocity Valley – where adventure is really affordable. A one of a kind, world-exclusive adventure ride that’s proven very popular with visitors is the Shweeb. Invented by kiwis and loved by Google, the Shweeb is a pedal powered, suspended pod that travels up to 50 kilometres an hour along an aerodynamic track. Velocity Valley is also home to New Zealand’s most popular introductory bungy jump – a 43-metre jump that can be done solo or tandem with a friend. Bungy jumping in the land of the long white cloud, the country where it was first invented is a lifelong pursuit for many. So why not share the fun with someone special? Add a few extra adventure activities in the mix, a stunning location that’s easy to get to, top-notch staff, an impeccable safety and quality record, world-class facilities as well as equipment that’s also compatible for those with physical disabilities and what do you get? The makings of New Zealand’s best adventure park of course, Velocity Valley.